What’s wrong with selling? How to get over yourself and recognise that we all need to sell to survive. Last Friday, I got a note from my email service provider saying that a gentleman called Alex had unsubscribed. When asked for a reason, he typed in ‘Feel like I’m being sold to’. Firstly, I checked how many emails I’d sent Alex this year. Result: 40. So in percentage terms, free stuff was 75% and paid, 25%. I think that’s a fair ratio, but I’ll unpack it a bit more, as I’d like to know what you think. 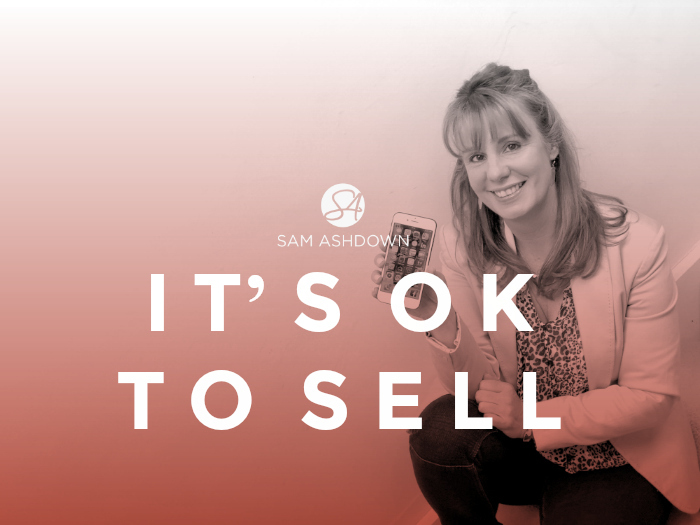 If you get my free Supertips, you’ll know they are simply great tips, advice and tactics on all things relating to sales or letting agency. None of them are salesy or even include an offer. I’m assuming Alex enjoys these as he always opens these emails from me. Every couple of months, I put on a free online training. This is usually an hour long and is packed with great information on subjects like How To Create An Ebook, How To Get Through More Doors and How To Use Social Media To Generate Market Appraisals. These trainings are always free, and whilst at the end of the training I usually have a great offer, this is, of course, optional, and some agents choose to just watch the trainings and not buy anything. Looking at Alex’s history over the past few months, I can see he has attended three of my live free trainings, and not bought any of the offers, which is of course, his prerogative, and absolutely fine by me. So then I looked at the emails I’d sent Alex about special offers. In the last few months, I’ve sent Alex 10 emails about special offers I had available. Actually, there were only 4 offers, with two or three emails on each. Alex chose not to buy, and again, that’s absolutely his right not to. You see, not everyone is a good fit as a client of mine. Either my programmes aren’t right for them, or they aren’t quite right for me. Out of the thousands of agents who subscribe to my Supertips, I only take on a tiny fraction each year as clients. By definition, that means that around 95% of the agents on my list are not the right fit for me. What I was intrigued by was Alex’s reason for unsubscribing – that he felt he was being ‘sold to’. My question to Alex is why do you think I do what I do? Do you think I just create free content and don’t need to generate any revenue? Do you consider all my material should be free for you? And anyway, what’s wrong with selling?? Out of curiosity, I took a look at Alex’s website. It has all the usual property search and featured property information, but as with many agents, it also has a company introduction that is a bit ‘me me me’. When I clicked the ‘book a valuation’ button I was taken to a page that ‘sold’ me a free valuation. If I booked it, do you think Alex would try to sell me the instruction? Guys, we are here to make money. Let’s not beat around the bush. You want revenue; I want revenue. I earn money by offering free content then making an offer every so often that many agents find irresistible, and so become my clients. Alex probably has to do three or four free valuation appointments before he gets the instruction. We all need to sell. So if, like Alex, you find my offers salesy and unwanted, please, feel free to unsubscribe. I won’t mind, and I won’t be offended. It just means we aren’t a good fit for one another. If however, you enjoy my free content and every now and again you’d like to be given the opportunity to become a client, stay tuned. We could be a match made in heaven. Book a call with Sam: Book your call with me and who knows where our conversation will take you?